..Cue the Saved by the Bell and Full House reruns. Cue the "Show me that smile again.." and "What ever happened to predictability.." sitcom theme music. And cue the stack of Garfield books by my bed. Cue Saturday mornings playing Twister and Monopoly with my sister, while watching Dirty Dancing, Labyrinth or Joe vs. the Volcano for the one billionth time. Cue the feeling of never having heard of a cell phone - except for the one Zack Morris carried around in his backpack. And cue the Spice Girls, classic Madonna and Gwen Stefani (before she was on every magazine for having 'aged amazingly'). I could definitely go on, and on, but I won't. I mean, all that in some chocolate + whip? Yup. Kinda. For me anyways. 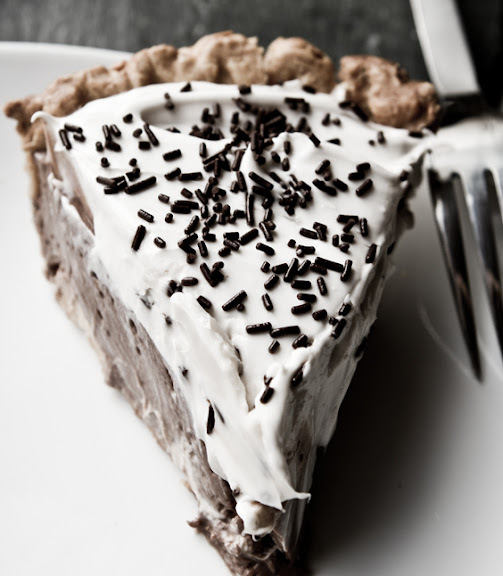 Well the good news is that I have this pie. 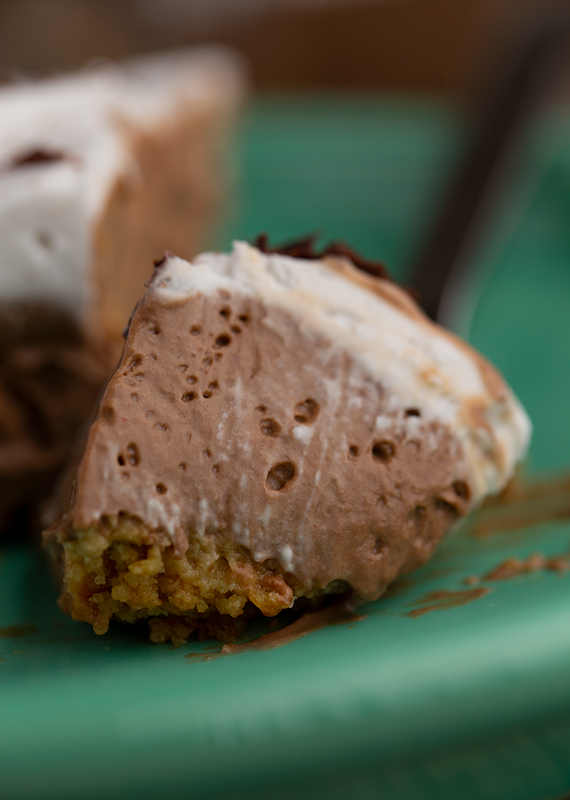 Rich and silky chocolate filling topped with fluffy coconut whip. Dairy-free + vegan. Win and win. 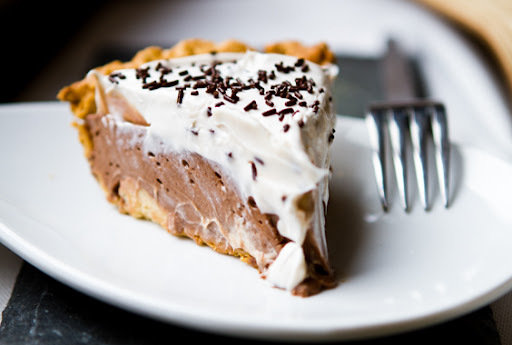 Chocolate Pie. 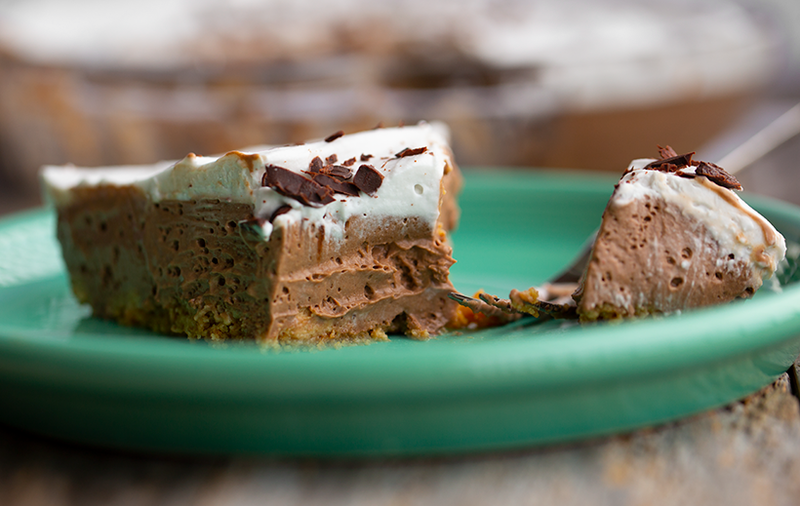 This dessert recipe is easy to make and bonus, it is packed with plant-based protein. And we all know that chocolate is magical. 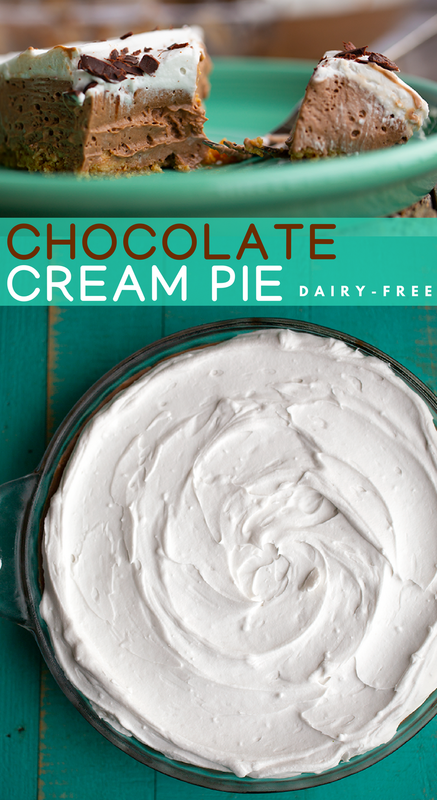 So if you are feeling this chocolate + whip vibe with me, hop in the kitchen and treat yourself this week.. UPDATED POST. I am excited to update this recipe post + photos. I first published this recipe back in late summer, 2011. 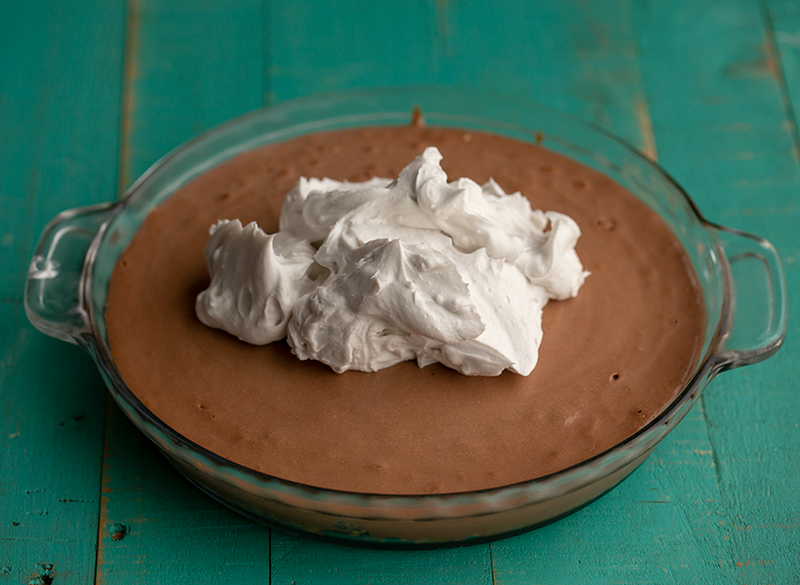 Vintage intro... Last week I made my silky raw chocolate cream pudding. Well I decided to take that healthy, breakfast-approved pudding to the next level: true decadent dessert-worthy status. 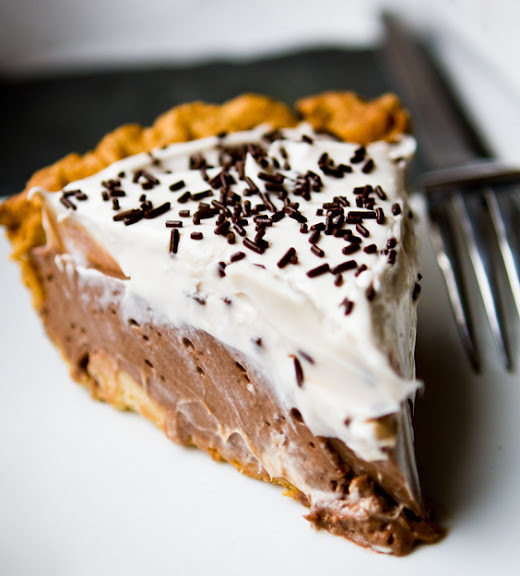 One pie crust and fluffy bowl of vegan whipped topping later and my fluffy, blissful, Vegan Chocolate Cream Pie is served! Chocolate sprinkelz on top..
And the new stuff. This is one of my favorite blog recipes simply because it reminds me of my own childhood, as I rambled about above. I didn't even get to the late nineties when Titanic, NSYNC and Britney came into my life. Don't worry, I won't continue on this tangent, but promise, you can always ask me what my fave early 00's songs were, what Britney's best live performances were and exactly how many times I actually saw Titanic in theaters. I will gladly oblige. Ha. Ok, back to dessert. 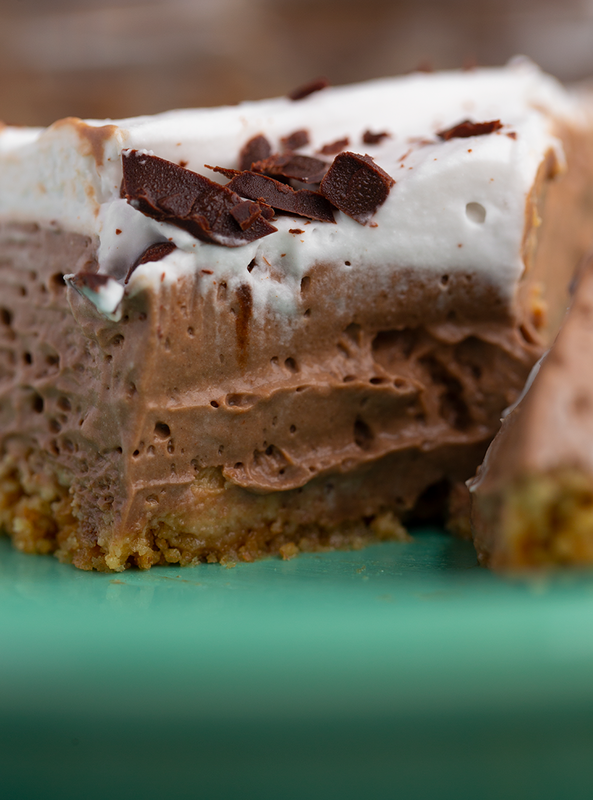 Simple vegan chocolate cream pie... Also known as a chocolate mousse pie, chocolate pudding pie or a chocolate silk pie. 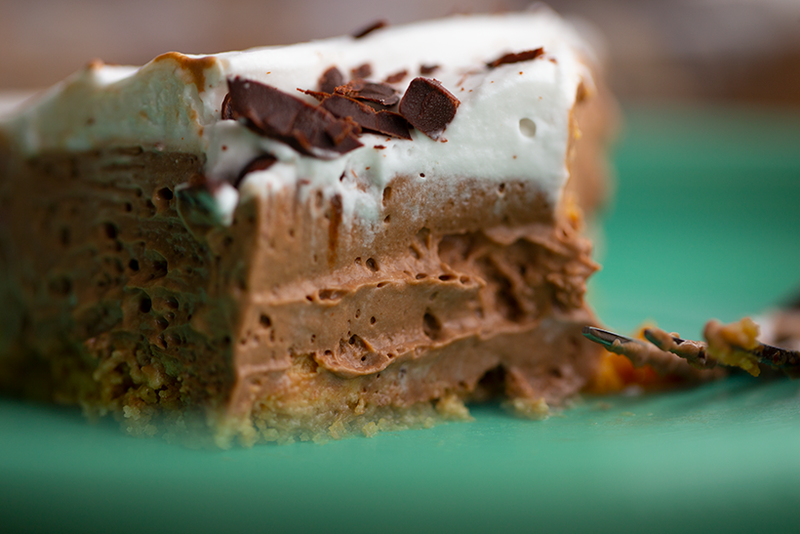 This version takes my chocolate pudding and gives it a bit more richness and slicing power via coconut oil. 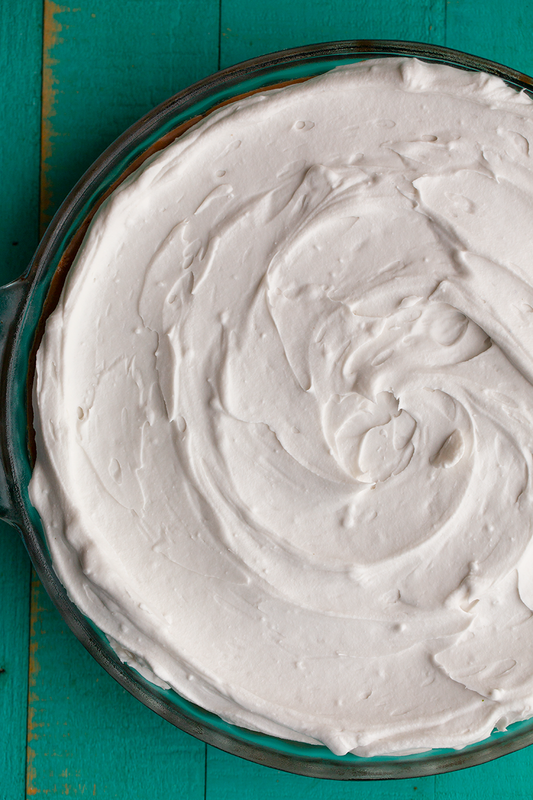 Coconut oil firms up in the fridge, yet still keeps a buttery texture when mixed with silken tofu, so it really creates the perfect no-bake pudding pie filling. 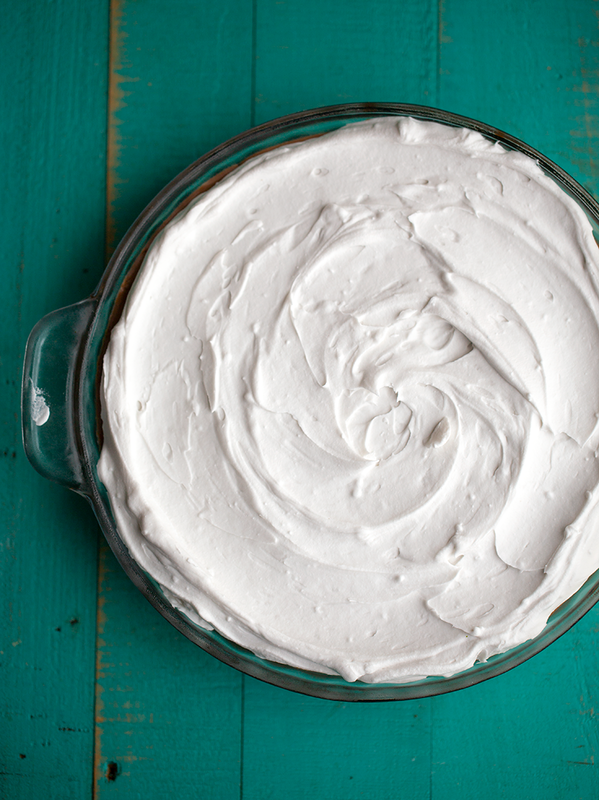 Homemade coconut whip on top. Crust? You can do a raw cookie or graham crust. A baked cookie or graham crust. A real baked flour pie crust. Or simply process some raw nuts like walnuts until crumbly and use them to line the bottom of the pie dish. Or simply use no crust if you don't mind a messier serving situation. Easy Chocolate Sprinkles. To top things off, I add a generous sprinkling of dark chocolate flakes. All you do for the flakes is find a vegan chocolate bar and slice off the edges using a Chef's knife. Boom, instant vegan sprinkles. 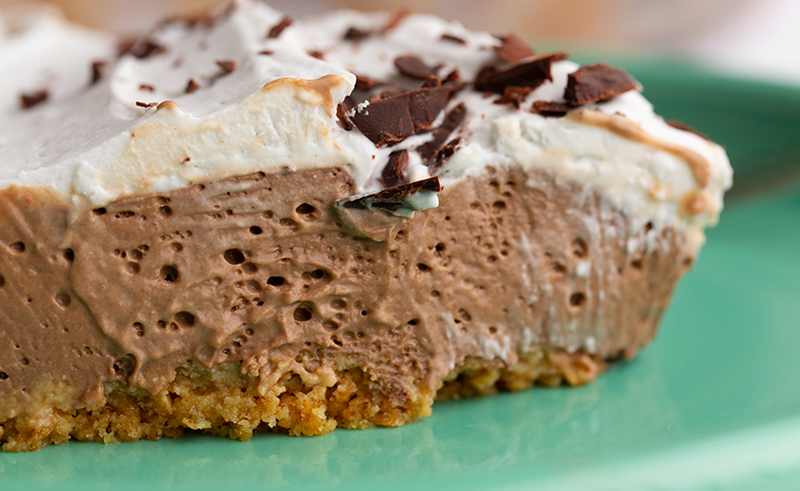 You can also use chocolate flakes on ice cream or cupcakes, whatever you'd like. 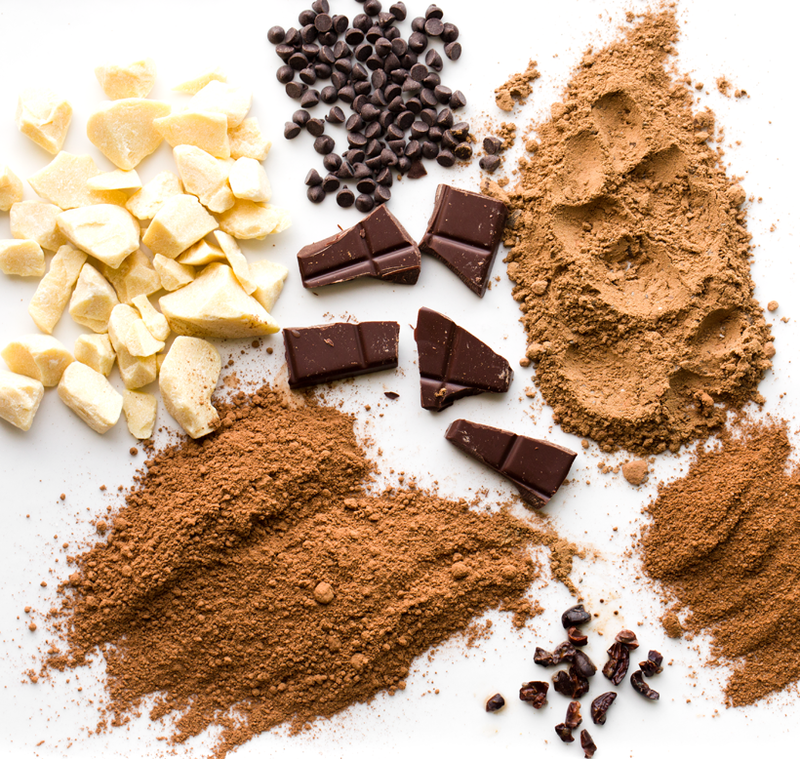 And before you dive in, if you just want to learn more about chocolate and it's magical qualities and where it comes from: All About Chocolate. PS. I also launched my brand new HHL store today! See the SHOP at top. (On the side if you are browsing in mobile). I have added some of my fave pantry, wellness, kitchen, pet, home/office and photography goodies. It was a lot of fun curating this store and I hope it helps give you some ideas for how to stock your vegan home and life. ...and yes, cacao if definitely in the pantry section! 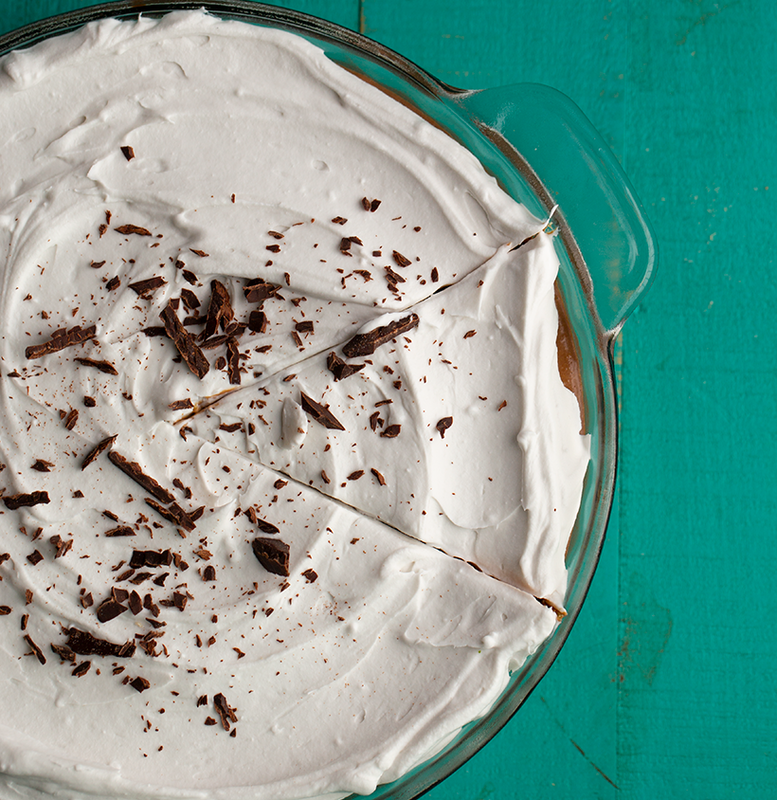 This silky, dairy-free pie has chocolate and whipped cream layers. Fluffy, rich and easy to make! Crust: If you want a baked cookie/graham crust, you can start here. Preheat oven to 350 degrees. Process cookies or grahams into about one cup of crumbs. This is enough for a think crust. Place cookies/grahams and melted vegan butter in a small bowl and fold gently. Pour the mixture into your pie dish and press in the pan. Bake for about 8-10 minutes, just until toasty. If you do not feel like baking the crust, you can just keep the crumbs raw and crumbly. The pie will not slice as cleanly, but will still taste amazing. 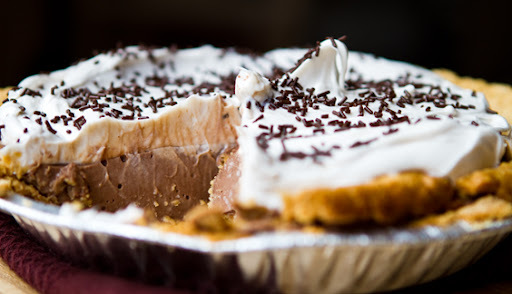 Allow the pie dish to cool for 5 minutes before adding the chocolate filling. 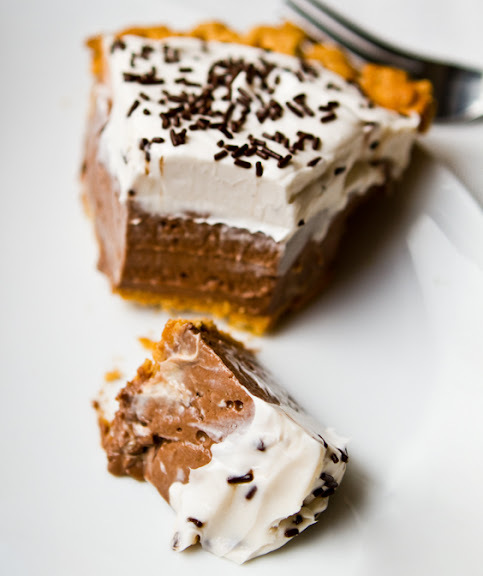 Chocolate filling: Add all the pie filling ingredients to a blender and blend from low to high until smooth. 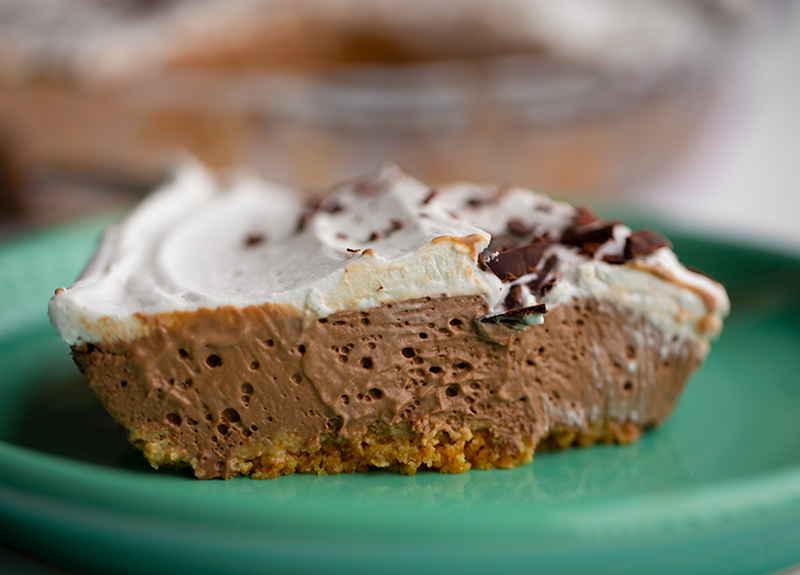 Pour into your pie dish, over top whatever crust you are using. 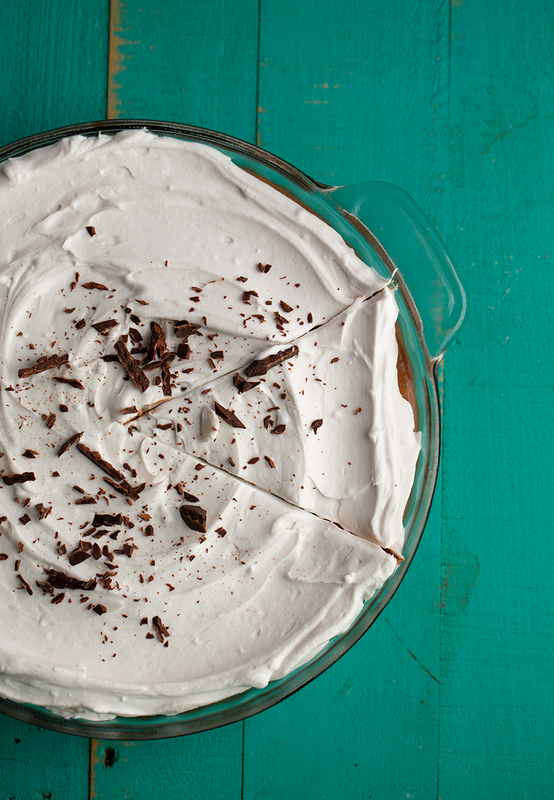 Place the pie dish in the fridge to chill overnight or at least 4-6 hours. 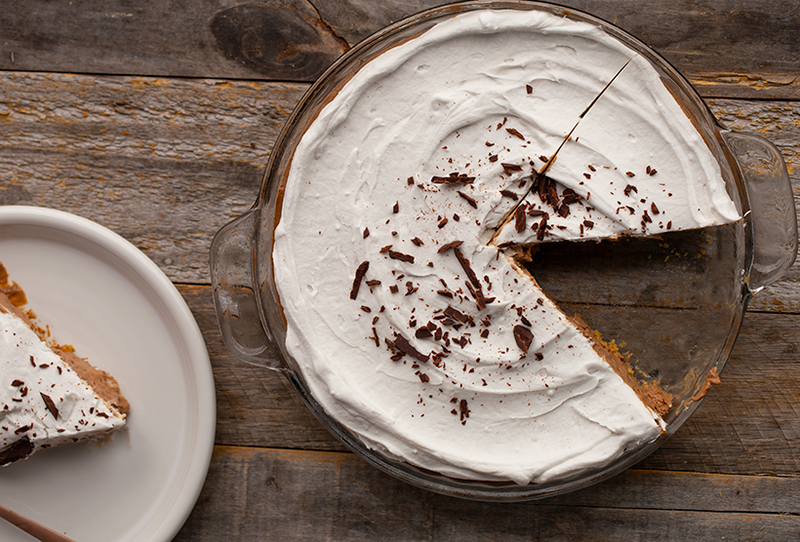 Overnight is best for a fully sliceable pie. Whip up your coconut whip according to the instructions. Pull your chilled pie from the fridge and spoon the whip over top. Smooth whip. Add chocolate over top. 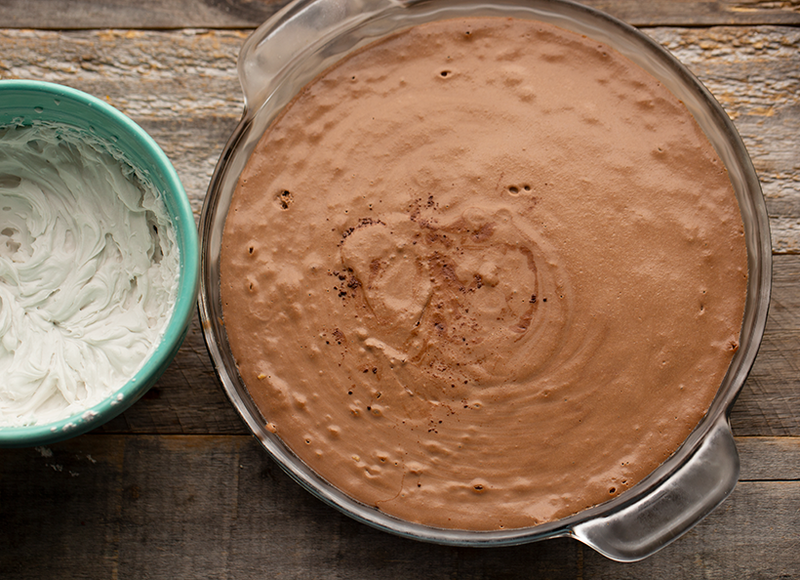 Serve right away or place back in the fridge to allow the whip to chill and harden a bit more. 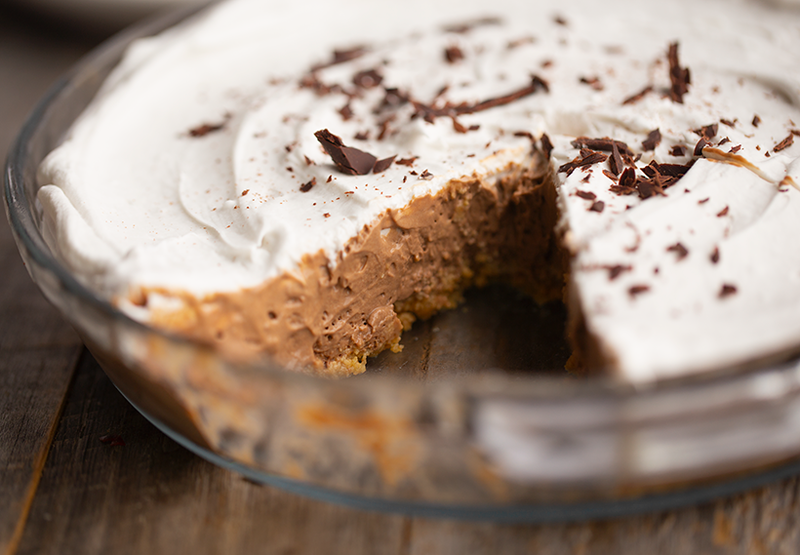 This pie will keep in the fridge for a few days, but is best served the same day that you make the whip - after that the whip loses its fluffiness. You will want to dissolve about 1-2 tsp of agar flakes into a liquid. I would try using 1/3 cup non-dairy milk or just basic water. Bring the liquid to a boil, in a small sauce pot, and dissolve the flakes - stir continuously until smooth. Then pour that mixture into the blender as you blend everything according to my recipe. Tip: Allow the agar mixture to cool slightly before adding to the blender so that you do not 'cook' the tofu. But the agar is totally optional. The new photos I have added (turquoise background) are the recipe when you do not use agar. The older photos use agar. Some of the original photos using the mimiccream and agar agar.. 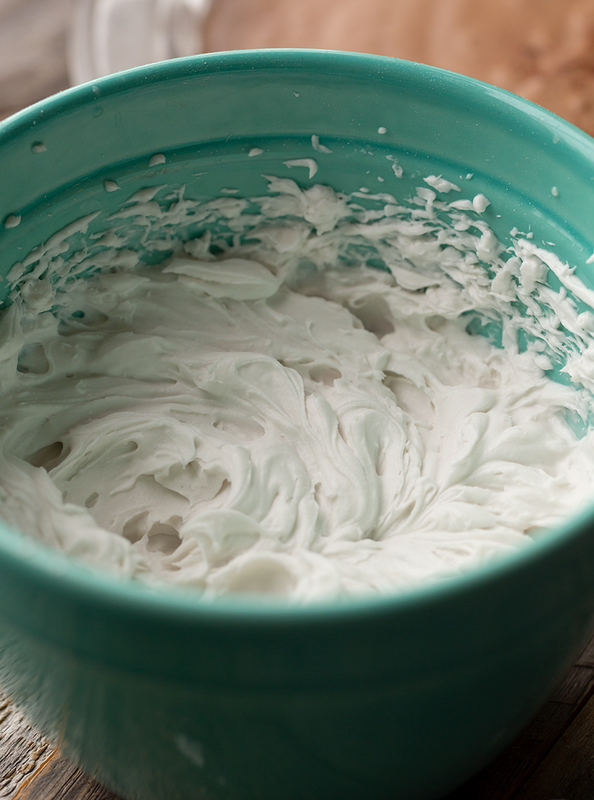 Alternative to whipped dairy dream: Whipped Coconut Cream from Coconut Milk, How-to!